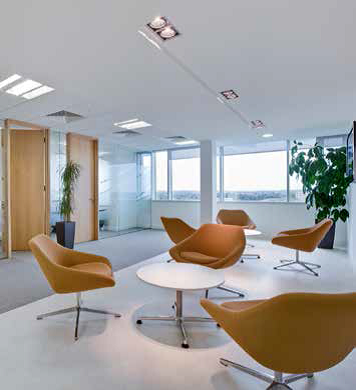 Allowing a significant amount of natural light to reach your employees may do wonders for morale and energy levels. Numerous studies have shown that a lack of natural light can cause lethargy and low mood. For many small businesses, full-scale renovations that facilitate larger amounts of natural light are out of the question. However, by simply rearranging desks to face windows or removing thick curtains, you may be able to give your business a significant productivity boost. There are many benefits to open plan offices and for many businesses it is simply a necessity due to space constraints. However, open plan offices can lead to a lot of noise that can be distracting for some people. Depending on the noise levels in your office, you might wish to introduce a ‘quiet room’, or purchase noise cancelling headphones that people can wear if they are finding the noise to be a distraction. Clutter obviously impedes productivity because it makes it difficult to find important documents. Furthermore, clutter in the workplace creates an impression of disorganisation that your employees may respond to on a subconscious level. Remember that clutter can also be digital! Make sure that your hard drives and shared folders are as organised as possible. Research shows that having a couple of indoor plants inside an office can boost employee productivity by stimulating concentration and improving mood. This is a low cost way to improve the aesthetics and functionality of your workplace.